Everyone knows smartphones can be used as calendars, calculators, radios and cameras. But, did you know they can also be used as microscopes that have the potential to save lives? They are called smartphone microscopes and dermatologists at The University of Texas Health Science Center at Houston (UTHealth) think these devices could improve the detection of skin cancer in developing countries. When it comes to the diagnosis of cancer, smartphone microscopes are reasonably accurate, according to a study conducted by Jahan-Tigh and colleagues at McGovern Medical School and Harvard Medical School. Findings appear in the ARCHIVES of Pathology & Laboratory Medicine. 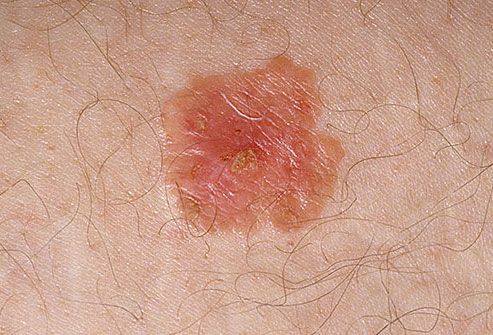 The incidence of both non-melanoma and melanoma skin cancers has been increasing in recent decades, the World Health Organization reports. Between 2 and 3 million non-melanoma skin cancers and 132,000 melanoma skin cancers occur globally each year. “This is a good first step to show that smartphone microscopy has a future in dermatology and pathology,” Jahan-Tigh said. A smartphone microscope can be made with a 3 mm ball lens, a tiny piece of plastic to hold the ball lens over the smartphone lens and tape to grip everything in place. A ball lens costs about $14 at an electronics store and is typically used for laser optics. Here is how a smartphone microscope works. A doctor or technician holds a smartphone microscope over a skin sample that has been placed on a slide and waits for the sample to come into focus. The doctor then either reads the sample if he or she is a pathologist, or takes a photo and emails it to a pathologist for interpretation. 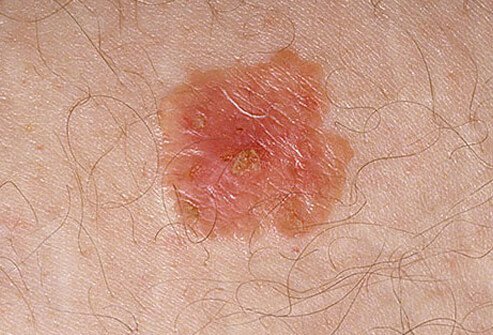 Researchers examined 1,021 slides of specimens, which had a total of 136 basal cell carcinomas, 94 squamous cell carcinomas and 15 melanomas. The smartphone microscope was used to pick up 95.6 percent of the basal cell carcinomas and 89 percent of squamous cell carcinomas. Jahan-Tigh said additional studies are needed to enhance the detection rate. Jahan-Tigh used a smartphone microscope to evaluate the specimens and the conventional microscope was operated by Ronald Rapini, M.D., chairman of the Department of Dermatology, Marvin E. Chernosky, M.D. Endowed Distinguished Chair in Dermatology and Josey Professor in Dermatology with McGovern Medical School. Both men are dermatologists and dermatopathologists, which means that in addition to being able to screen patients for skin cancer they can examine biopsied tissue to determine if it cancerous. Rapini was the paper’s senior author and Garrett M. Chinn, M.D., of Harvard, a co-author. In their conclusion, the authors wrote that mobile phone-based microscopy has excellent performance characteristics for the inexpensive diagnosis of non-melanoma skin cancers in a setting where a traditional microscope is not available. “This is just the tip of the iceberg,” Jahan-Tigh said.